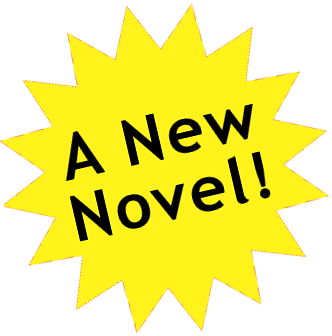 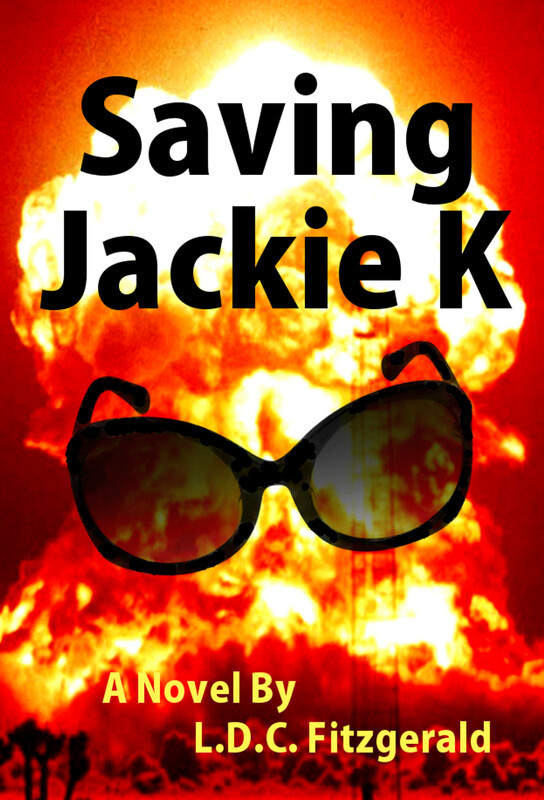 In Saving Jackie K Chapter SevenIggy, Sera, and Jay visit Lehigh University in Bethlehem, PA to recruit reluctant Professor Frank Thomas whose office is in Packard Lab. The fugitives are then forced to escape from the pursuing warden via the Catacombsunderground tunnels burrowing beneath the campus. Packard Laboratory, named for benefactor and alumnus James Ward Packard, who donated the funds for the premises in 1928. A pair of statues of Stately Gentlemen flank the entrance to Packard Lab, peering down sternly. 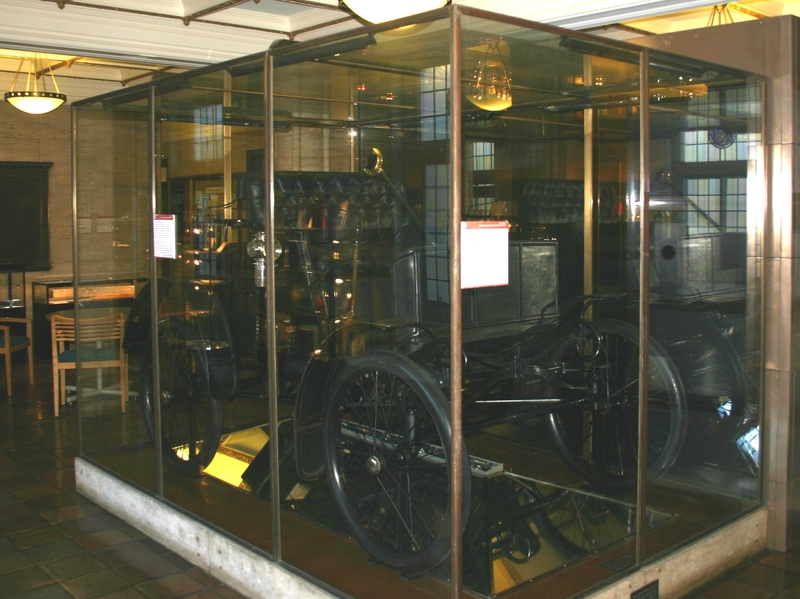 Old Number One, the first horseless carriage ever produced by the Packard Motor Company in 1899, is a three-speed, chain-drive model powered by a twelve-horsepower engine. 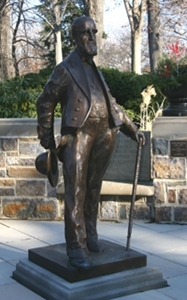 Lehigh University was established in 1865 by Asa Packer, an American businessman who pioneered railroad construction and participated in Pennsylvania politics. 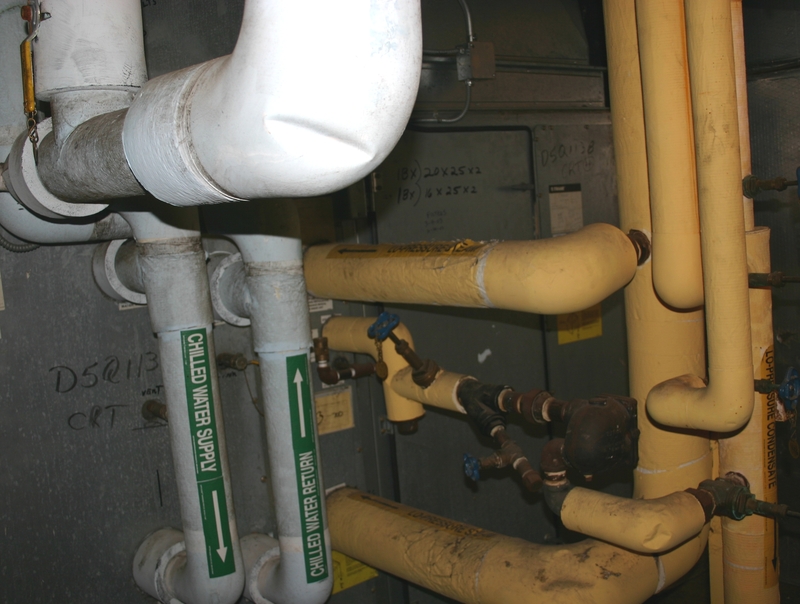 Pipes Leading to Catacombs - a myriad of pipes hang from the ceiling and climb the walls - gray ones labeled Chilled Water Supply and yellow ones marked High Pressure Steam. 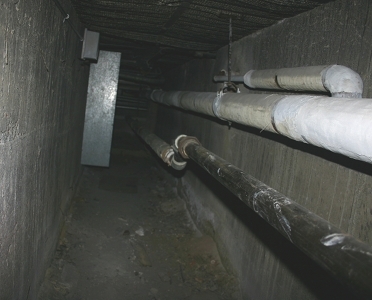 Cramped passageways with unfinished cement floors and cinderblock walls, the Catacombs are part of an elaborate heating and cooling system burrowing under the South Mountain campus. 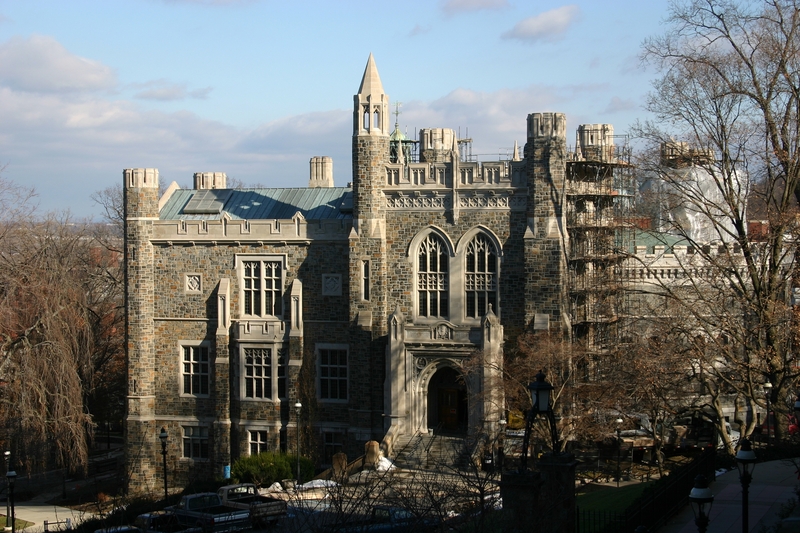 Linderman Library, a multileveled stone behemoth crafted in the collegiate gothic style, with lofty towers and intricate carvings. 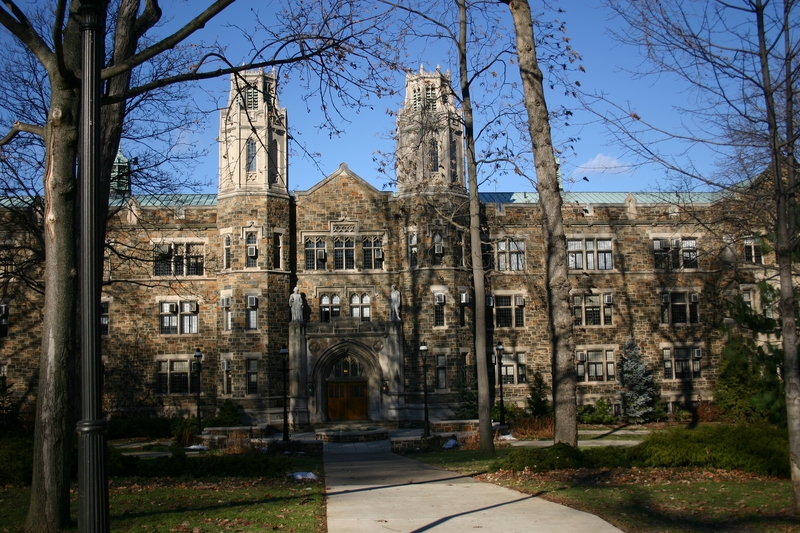 Taylor Hall, a U-shaped dormitory donated in 1907 by industrialist Andrew Carnegie in honor of his friend, Charles Taylor, who graduated Lehigh in the class of 1876. 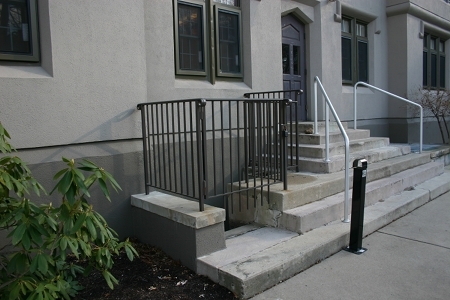 A Catacombs Exit from Taylor Hall - a dorm that is one of the earliest in the twentieth century made of poured concrete. 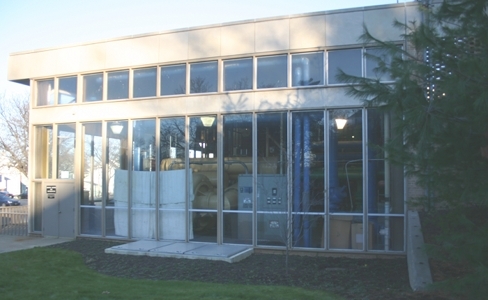 Lehigh University's deceptively small Power Plant, housing one story above ground and two below that connect directly to the Catacombs. 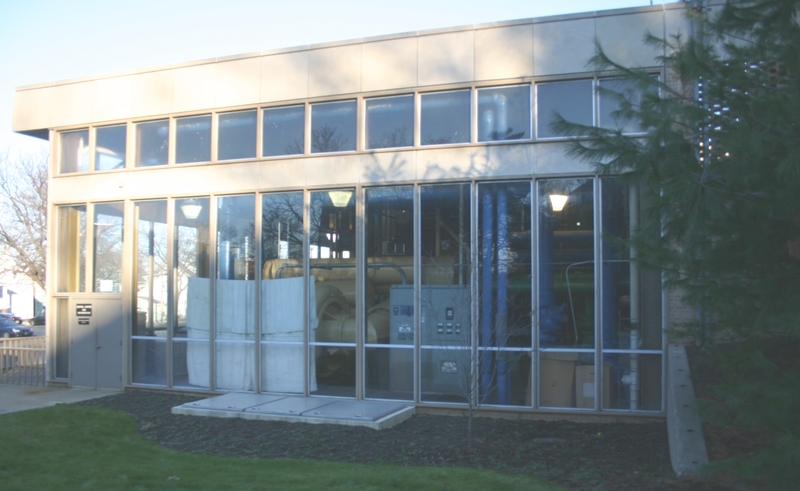 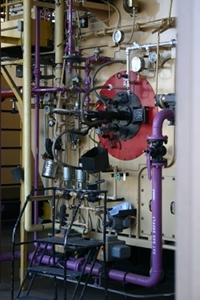 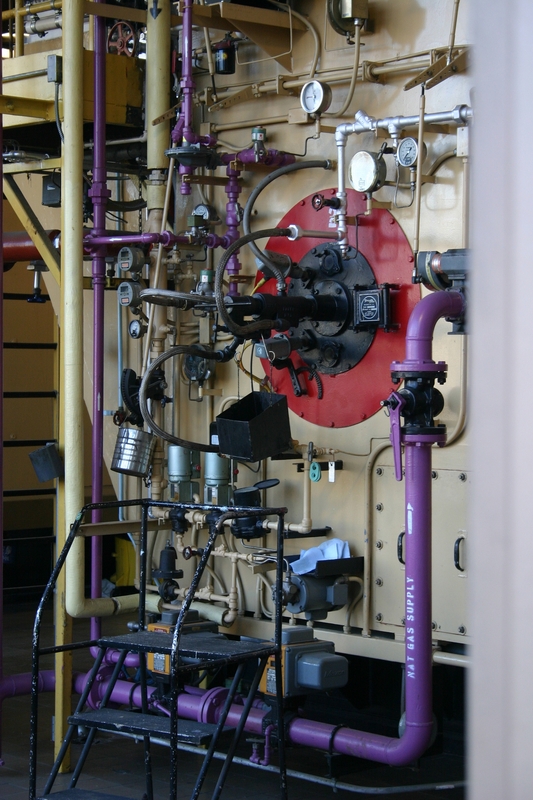 Pipes in Power Plant - the box-like facility teems with pipes, boilers, and instruments within floor-to-ceiling glass and steel walls.